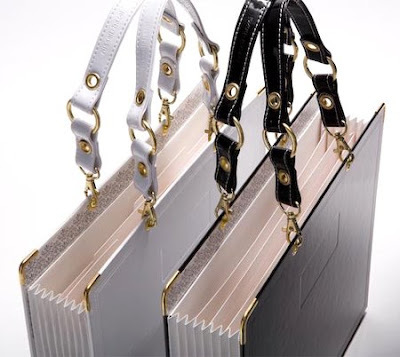 Need to carry files with you? 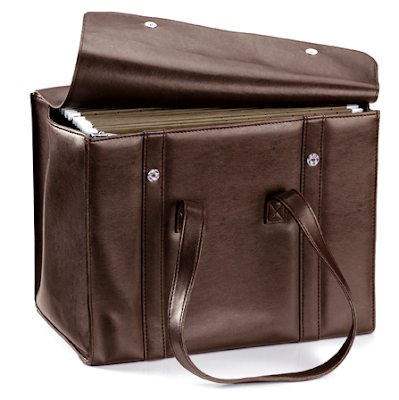 I wrote about hanging file folder totes yesterday, but I missed this tote from Pendaflex. Update on April 10, 2011: I'm no longer finding this product. 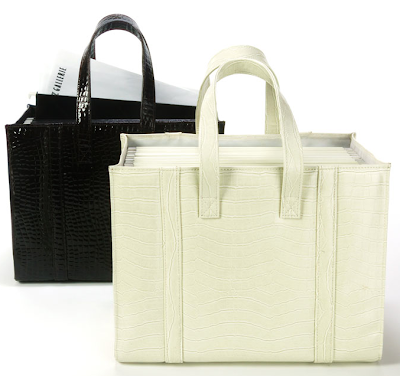 And this faux croc file tote also seems to hold hanging files, looking at the picture - but the web site doesn't mention hanging files or a file frame. It's only available in a chocolate color now. Update on April 10, 2011: I'm no longer finding this product. But what if you don't want or need the hanging files? What if you just carry file folders? 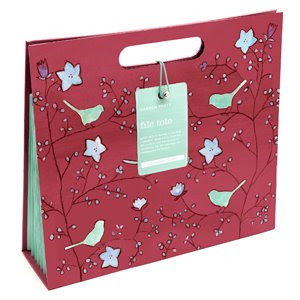 If you just carry a few files, you might like the expanding five-file tote from russell+hazel; I've confirmed that you can fit standard 8 1/2 x 11 inch file folders in these totes. Update on April 10, 2011: I can no longer find this product, either. 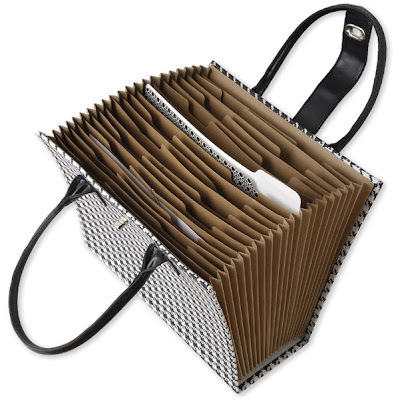 Crane's has this herringbone file tote, which looks like a fancy accordion file with handles. 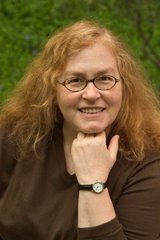 Update on April 10, 2011: I'm not finding this one any more, either! The tote on the Crane site looks very much like the expanding file totes from Apropos offered on the Organize.com web site; both have 21 slots and the measurements are almost identical. Update on April 10, 2011: And I'm no longer finding this one, either. Finally, Galison makes some pretty file totes. I'm not 100% sure if file folders would fit inside. I've asked Galison, and will update this post when I find out. 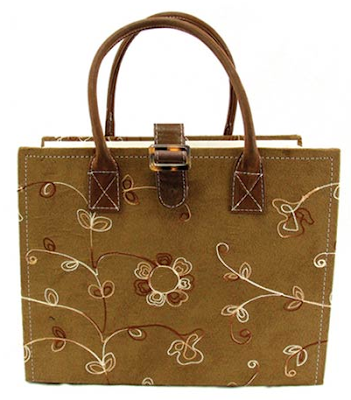 Update on Nov. 19, 2008: A helpful person at Galison replied, "I've tested mine and the answer is yes, the standard file folders do fit into our file totes." Update on Sept. 30, 2014: I'm no longer finding these totes.